DRAGONS, TURKEYS, AND PIES WITH DR. DRECK THIS THANKSGIVING EVE!!! 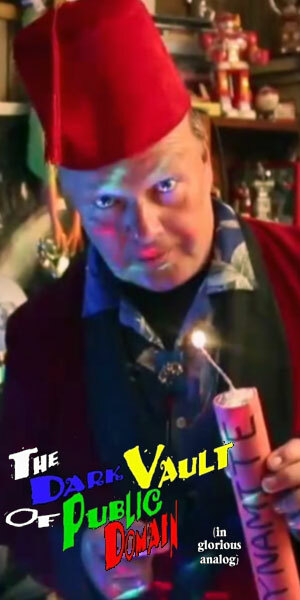 DR. DRECK AND A LARGE ECONOMY-SIZE CARVING KNIFE FOR YOUR THANKSGIVING EVE ON BETA MAX TV!!! Not sure how to attack carving up that Thanksgiving turkey? Here’s a solution – use THE MAGIC SWORD!!! 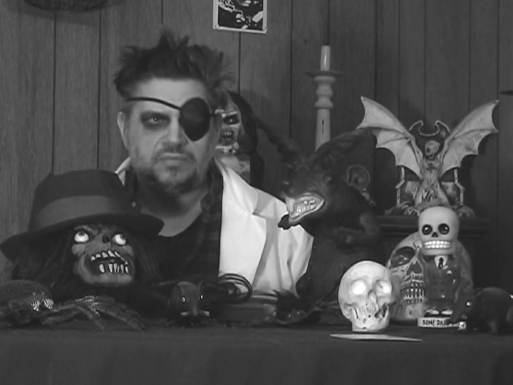 That’s what Beta Max TV and the good doctor have for you on the latest episode of The Dungeon Of Dr. Dreck. From 1962, this sword and sorcery action drama from director Bert I. Gordon featuring the legendary Basil Rathbone and Gary “2001” Lockwood is the tale of Sir George and 6 ancient knights on a quest to save a princess. Seven deadly challenges – including a dragon – and a sorcerer stand between them and their goal. A challenge not unlike getting that last drumstick when all the relatives are over for Thanksgiving dinner! And watch for a dual-role cameo by none other than Maila “Vampira” Nurmi! Moaner and Groaner are off visiting relatives, so dinner was just for Dr. Dreck and Stu. And they ate it all themselves, including many, many, many…..many pies. And pies are still on their mind even as Shrunken Ed drops in. Turkey and swords and dragons and pies! A multi-course meal of memories, action…and indigestion! Another reason to be thankful this Thanksgiving Eve with THE MAGIC SWORD and The Dungron Of Dr. Dreck on your home for B-movies,,,and turkeys – Beta Max TV!!! ← MY GAL THE ZOMBIE THANKSGIVING SPECIAL!! !